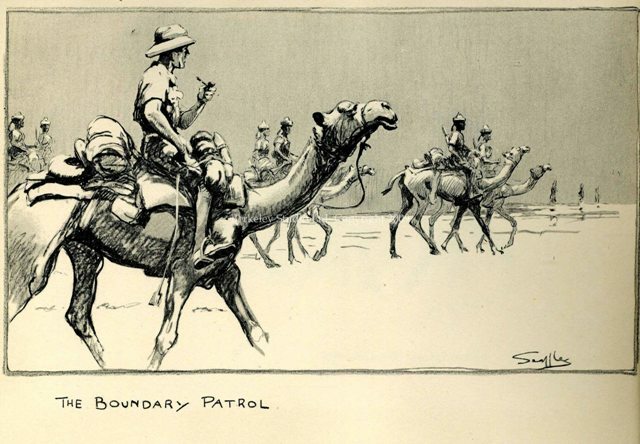 With the Somali Camel Corps. Original Print. 8x10 ins. C.1936. Frame: 1/2 inch plain black.